Grieving Pet owners can now document your Dear Pet's life with a Unique, One-of-a-kind,Keepsake Pet Remembrance Certificate celebrating the life of your Best Friend. 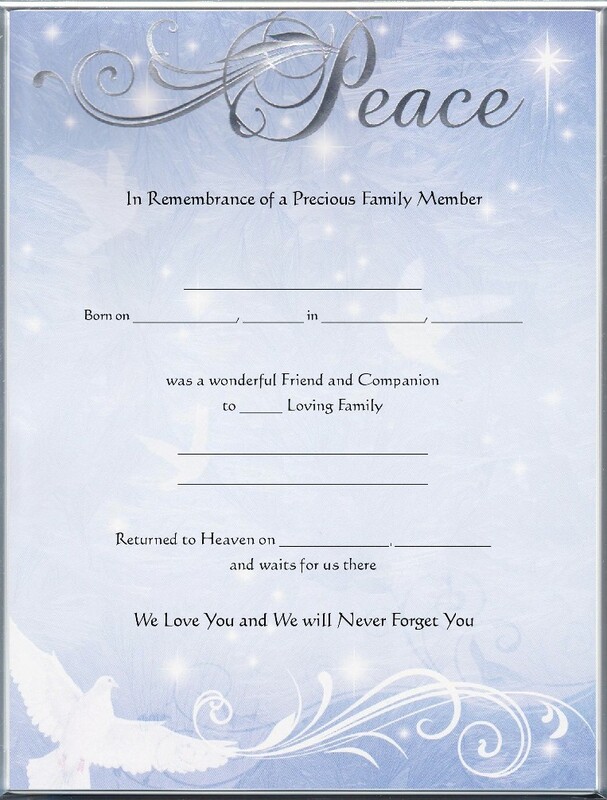 This Commemorative, 8½ x 11 inch, Blank, Keepsake Remembrance Certificate has the beautiful Silver foil word PEACE at the top with several white Doves scattered across the Certificate, on a blue background. It's a Beautiful Certificate printed in Black with blank lines where you can fill in the information yourself.